There are those lookouts that errybody knows about—anywhere in Noosa National Park, Mount Coolum, Wild Horse Mountain… you get the drift. Then there are those that we probably shouldn’t tell you about; the ones that aren’t really found on tourist maps, often require getting your dirt road driving on, and usher “adventurers” to take in breathtaking views without another person in site. Here are five of our fave (somewhat) hidden lookouts on the Sunshine Coast. You think you know the Sunshine Coast, and then on a random Sunday drive, you find a spot like this which makes you burst with pride about the Coast’s beauty and the wilderness that still exists when you get out of town. To get to this epic lookout point your best bet is a 4WD, or something that resembles one, as you’ll be cruising dirt roads and, depending on the weather, navigating some pretty decent bumps. With towering trees on both sides, you’ll be stunned with the openness that greets you once you’ve parked the car and walked to the ledge. We found this spot after driving from Yandina to Cooloolabin, and entering the north-eastern wing of Mapleton National Park from the south. 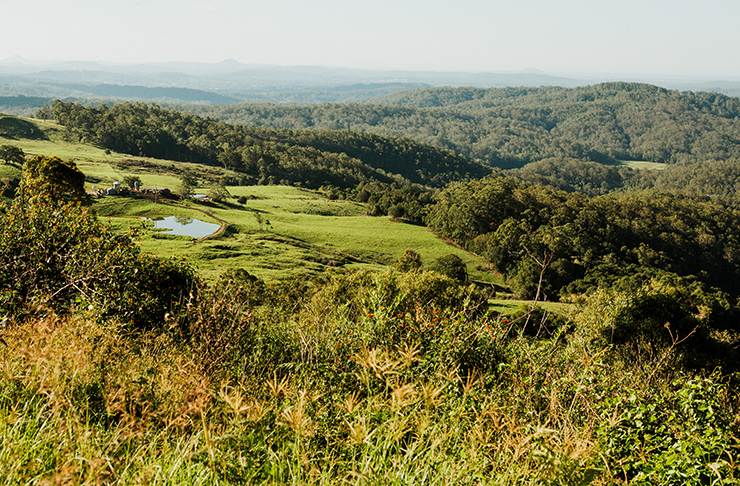 This one may not be a secret to the hinterland crowd but if you live on the Coast, chances are you’ve never ventured up to Cooran’s James McKane Memorial Lookout. A prime picnicking posi for a group of friends, there’s plenty of grass to doze on once you’ve stockpiled all the brie, crackers, and hommus safely away in your belly. And the views? Well, the views are something else. Who knew the Coast was so mountainous? Coolum’s most famous vantage point is without a doubt Point Perry, where you can linger over the ocean on a cliff-top boardwalk. But there’s a lookout tucked away in the residential part of Coolum, that gives a totally different perspective of the coastline, all the way up to Noosa. With a picnic shelter perched at the top of those Grandview Drive driveways that lead to McMansions, the steep climb to Lows Lookout can be done in a car. It might not be the most romantic of lookouts but its got history, and is also an epic spot to watch storms roll over the northern end of the Coast. Want to see monolithic Mount Coolum in its full setting? Mt Ninderry is a prime lookout but unlike the other spots we’ve mentioned, this is one view you’ll have to work for. Sitting in between Yandina and Coolum, you’ll need to tie up your laces, or at very least, throw on a pair of super grippy thongs, to reach the summit. It’s not a long walk, and we’re pretty sure the Insta-shots you’ll snag at the top will be a big enough reward. Another Metropolist-tested hidden lookout on the Sunshine Coast is Dunethin Rock. Never heard of it? 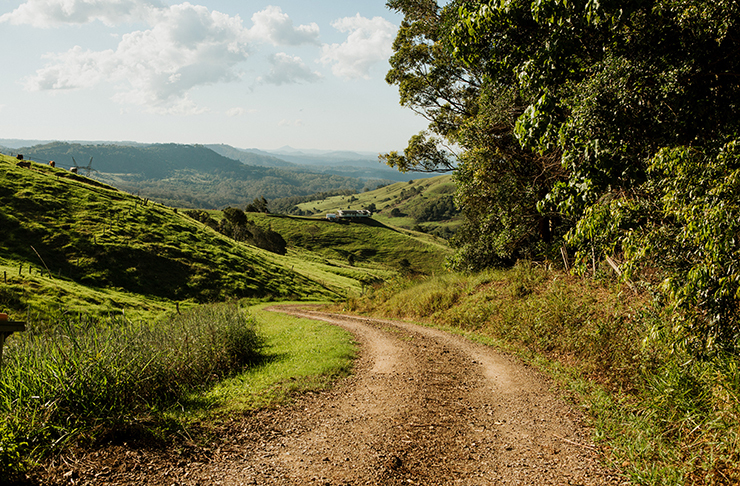 Neither had we, until we stumbled on a side road when cruising along Yandina-Bli Bli Road. It kinda feels like you’re driving on private property, but you’ve not, so don’t freak out; just keep on driving along Dunethin Rock Road and you’ll eventually come to the rocky clearing. Found on the southern bank of the upper Maroochy River, the natural platform gives way to panoramic views; overlooking the winding waterway and cane fields to Mount Coolum. Now we've shown you all the lookouts what about 5 Weekend Drives To Take From The Sunshine Coast? What about 50 Awesome (& Cheap) Things To Do On The Sunshine Coast maybe instead?